At the conclusion of an October 22 student presentation on a remarkable summer study abroad course in Guatemala, SUNY New Paltz President Donald Christian called the students’ work abroad a “marvelous example” of the type of high impact education practices the College encourages. High impact education practices such as study abroad, internships, community-based learning and student research “give students opportunities to take what they learned in the classroom and apply it to a real-world setting,” said Christian, noting that such work often allows students to work across cultural boundaries. 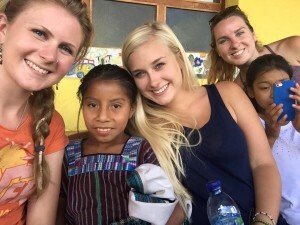 This summer, three study abroad courses, sponsored by the Center for International Programs and led by faculty from the College of Liberal Arts and Sciences, allowed students to make linkages between their academic studies while working with diverse partners in Guatemala, Ethiopia and South Africa. 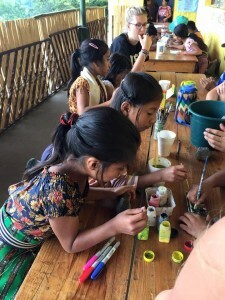 Described by students as both life-changing and consciousness-raising, these experiences also allowed students to give back to their host communities through hands-on service learning projects. Eager to expand upon their spring team-taught course “Inequality, Gendered Violence and Migration in Guatemala,” Anne Roschelle and Luz Porras created the “Human Rights in Guatemala” course to introduce students to Guatemalan activists, scholars and spiritual leaders. Roschelle is a professor of sociology and affiliate of the Women’s, Gender and Sexuality Studies Program, and Porras is a lecturer for the Department of Languages, Literatures and Cultures and Latin American and Caribbean Studies Program. Yoana Duarte ’15 (Sociology) benefited from taking the spring course, which provided an historical context for the increased migration and asylum-seeking among Guatemalan youth. “We just read about the undocumented children who are crossing the border without their parents, and the minute we arrived, they were right there,” said the New Paltz senior, describing her encounter in the airport with over a dozen children who had been deported back to Guatemala. The experience was the first of many that illustrated, sometimes viscerally, the readings of the spring and summer courses. “Everything we read, every single article, every problem we read about, we were witnessing it up front,” Duarte said. 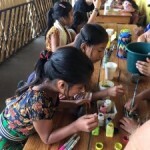 The centerpiece of the trip was the students’ work at the Konojel Community Center, a nonprofit organization located in the Kaq’chikel (Mayan) community in San Marcos, Guatemala. The center provides lunches, five days a week, to the town’s poorest children, elders, and pregnant women, and offers a variety of educational programs. 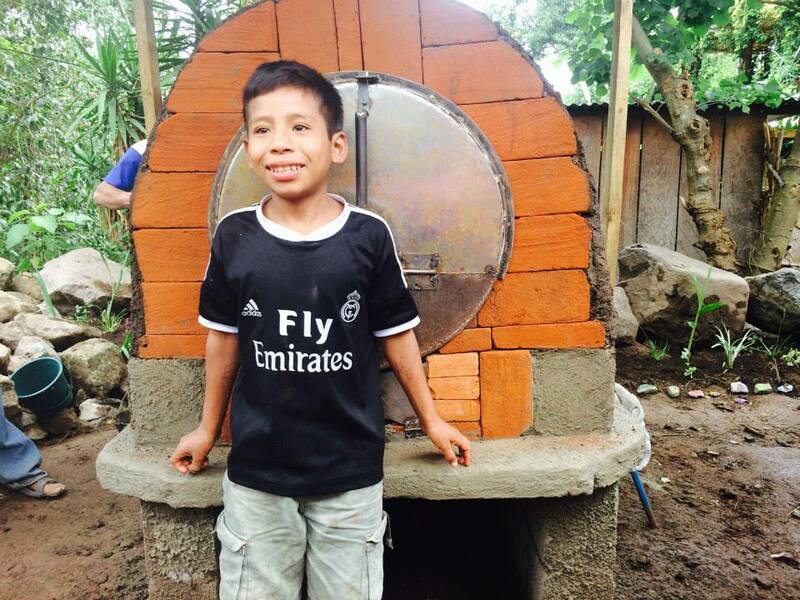 The students raised $1,000 for materials and helped construct an adobe oven (shown here) for the restaurant Comedor Konojel. The students also painted a mural on the adjacent concession stand. 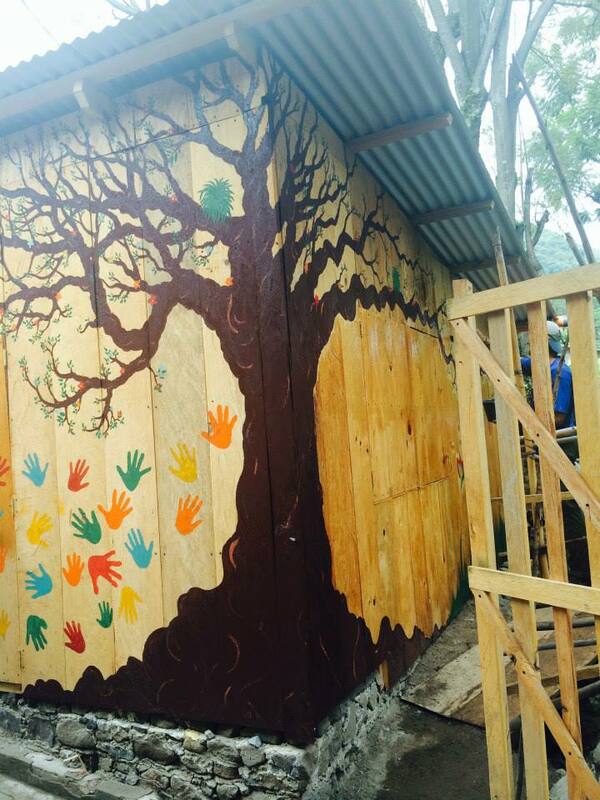 The students from the Konojel Community Center added their hand prints. The students raised $1,000 for supplies by hosting several fundraisers. 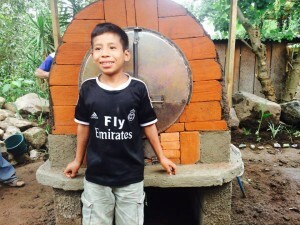 Patrick Daponte ’15 (Spanish), who along with student Roniel Urena ’16 (Spanish/Latin American and Caribbean Studies), played a key role in the oven’s construction, said the project will provide skilled jobs for the center’s female employees and break the cycle of poverty that is so common in Latin America. “If the women could become independent from the community center, they could become more qualified to get better jobs to feed their children…and their children wouldn’t be part of the same cycle, where they’re undereducated, underqualified and can’t get the jobs that they need to provide [for] their children,” he said. 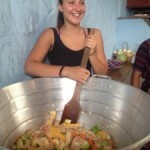 New Paltz students helped out in Konojel’s enrichment program. At Konojel, the students eagerly lent their time and talents to multiple projects. They worked with students in the enrichment center, built a vegetable garden, constructed the oven and beautified an adjacent concession stand. The students used broken shovels, and Porras journeyed by motorcycle and boat to obtain needed supplies. “That was another lesson that we learned. Everything that you do is more complicated and more difficult when you’re in a developing country,” said Roschelle. 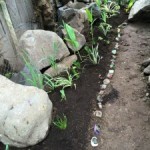 The students created a small garden at Comedor Konojel with rocks painted by the children of Konojel. The Konojel students paint their rocks for the rock garden. Prepping chicken pepian for a celebratory lunch at Konojel. Thirteen students and alumni from the Department of Sociology’s Human Services Concentration traveled to South Africa to present workshops at a professional conference, shadow South African youth workers and observe in action a Native American childrearing philosophy taught in the concentration. The group joined more than 1,100 child and youth care workers in Cape Town to present at an international conference celebrating the 40th anniversary of the first non-segregated human services organization in South Africa. The students joined instructor Mette Christiansen and course participant Beatriz Vides, of Astor Services for Children and Families, in giving presentations on social pedagogy and trauma/compassion fatigue. 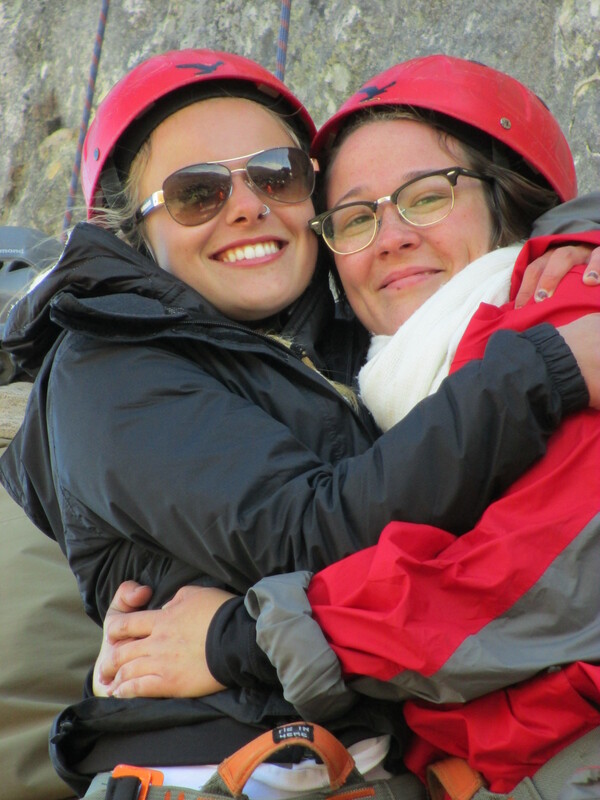 Human Services students Kelsey Simmons and Ryan Kelly celebrate after completing the wilderness excursion rock climb. 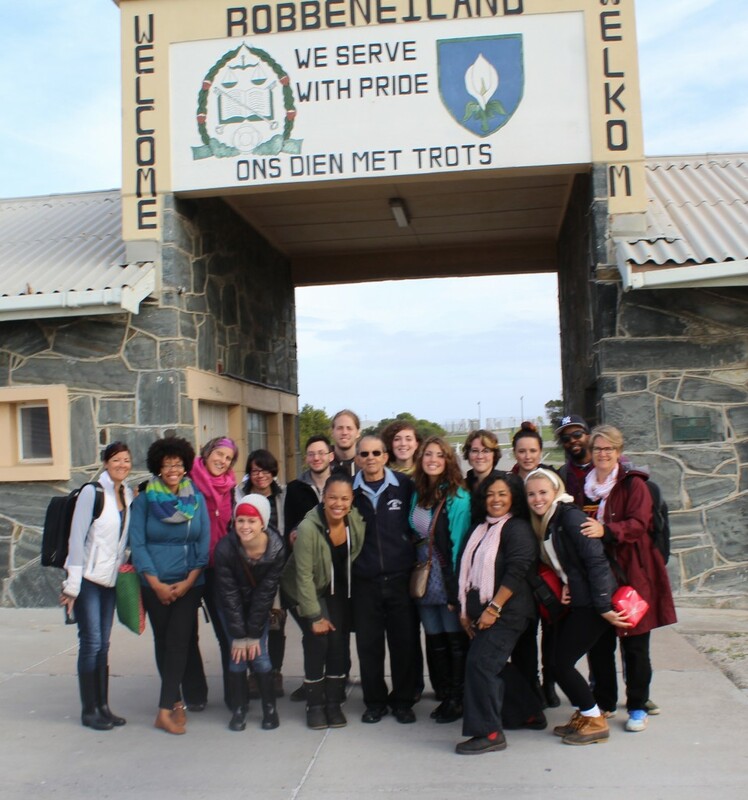 To foster dialogue and create a sense of camaraderie among the diverse groups, Christiansen organized a four-day excursion in the wilderness three hours north of Cape Town. The students were paired with South African partners and colleagues representing a variety of agencies and non-governmental organizations (NGOs). 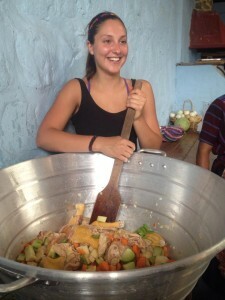 Kelsey Simmons ’17 (Sociology – Human Services), who had just begun her studies in the concentration upon embarking on the trip, said the experience forced participants outside their comfort zones. “When you’re forced to mingle with other people, you find out that you can find some of your best friends right next to you, and across the world, too. We really connected with all the South Africans,” she said. After returning to Cape Town, the students spent two days shadowing their South African partners in a variety of agencies and NGOs, which included residential centers for youth and community-based organizations providing support for children and families affected by HIV/AIDS. Students also facilitated activities for children in various townships. 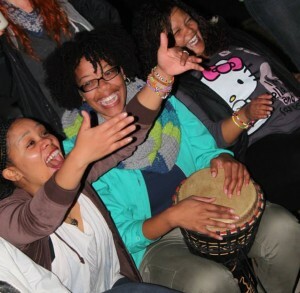 Human Services alumna Wilza Descardes drums in the wilderness. Introducing students to a professionalized workforce of child and youth care workers is a key goal of the “International Social Welfare” study abroad course. Since the establishment of democracy in 1994, the South African government has worked with the National Association of Child and Youth Care Workers to train and educate childcare workers. The South Africans utilize a Native American childrearing philosophy called the Circle of Courage, which views an individual’s life as a circle divided into quadrants and encourages opportunities for mastery, independence, generosity and belonging. Ryan Kelly ’16 (Sociology – Human Services) said she admired the “holistic approach” used by South Africans in applying the Circle of Courage to their work with children. “In this country, we tend to focus more on the child’s weaknesses or negative behaviors than they do,” said Kelly. The students were given a private tour of Robben Island by former inmate Eddie Daniels. Daniels, 87, spent 15 years sharing a cell block with Nelson Mandela. He shared with the students some of his memories. Alumna Selene Altamirano-Farrell ’08 (Sociology – Human Services) earned graduate credit towards her master’s degree in Social Work at SUNY Albany. She recalled learning about the Circle of Courage in her undergraduate work and was inspired by seeing its real-world application. “Going to South Africa and seeing it in action, it really clicked, it made sense,” said Altamirano-Farrell, who has begun sharing materials about the Circle of Courage with her professors and colleagues at the Family of Woodstock. Altamirano-Farrell said the study abroad course helped her recognize her role as a global citizen and ambassador for human rights. “All of us have takeaways that we are going to put into the work that we do here, and maybe that’s the Circle of Courage, or the songs that we learned, or maybe it’s trying to change policies within the United States because we see that change is possible in other parts of the world,” she said. In collaboration with the nonprofit organization Visions Global Empowerment, seven students worked closely with deaf students and educators during a two-week service learning trip to Ethiopia. Rebecca Swenson, a lecturer in the Communication Disorders Department and coordinator of the Deaf Studies minor, led the study abroad course, after participating in a Visions-sponsored service learning trip last summer. The nonprofit has worked in Ethiopia since 2010, developing programs that seek to educate and empower the marginalized deaf community. Students communicated with Visions staff members via Skype during their pre-departure classes. They studied the Amharic language and Ethiopian Sign Language (ESL), and read books about Ethiopia’s history and culture. All students took the prerequisite course “Deaf Culture and Heritage,” but had varying degrees of proficiency in American Sign Language (ASL). 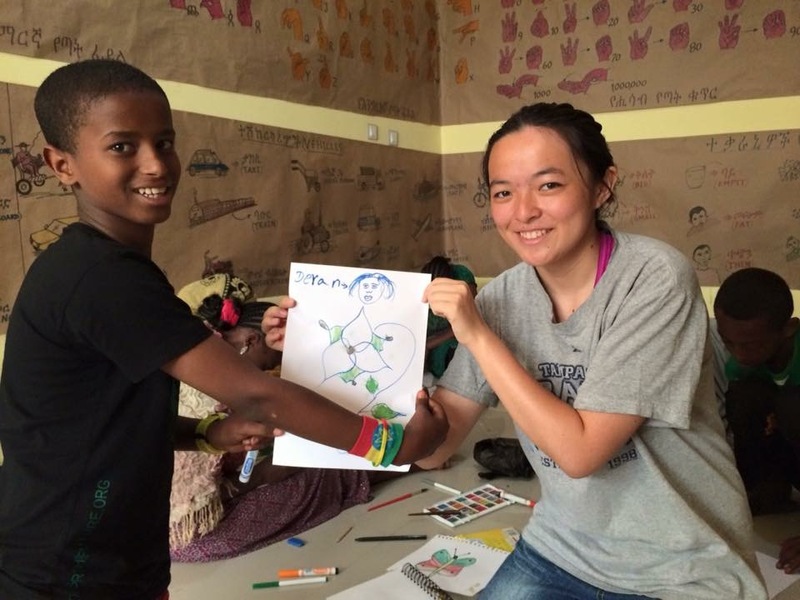 DeYan McCarthy leads an art activity for deaf children in Ethiopia. Once in Ethiopia, the students worked with the staff and students of the Kal Center for Special Needs in Bahir Dar to create five short educational films for the Visions video series, “Understanding Deafness in Ethiopia.” DeYan McCarthy ’17 (Anthropology) collaborated with children and adults at the Kal Center to develop a short film on the topic of the Ethiopian workplace. 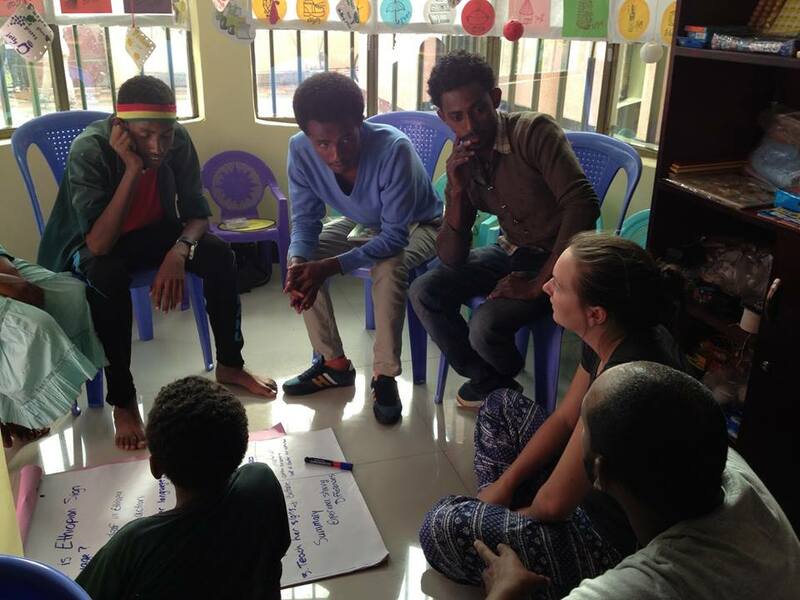 Cathryn Brown, Fikadu Woldemickael, Yehuna Wale and Demelash Tsegaye discuss preparations for filming five short educational films on deafness. The students planned and implemented enrichment activities for deaf youth and young adults in four public schools and at a regional deafness center. With the help of translators, the students used sign language and were surprised at how easily they were able to communicate. McCarthy said completing the introductory ASL course at New Paltz helped her to understand that ESL is also a conceptually-accurate language. 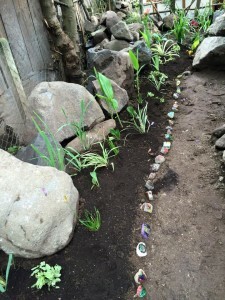 “It really helped me visualize everything and understand this actually makes sense,” she said. Swenson noted that the students succeeded in expanding their language skills while immersed in environments where four languages—ASL, ESL, English and Amharic—were being signed or spoken at the same time. “It is about being open to communicating, and I found the students really did that,” she said. 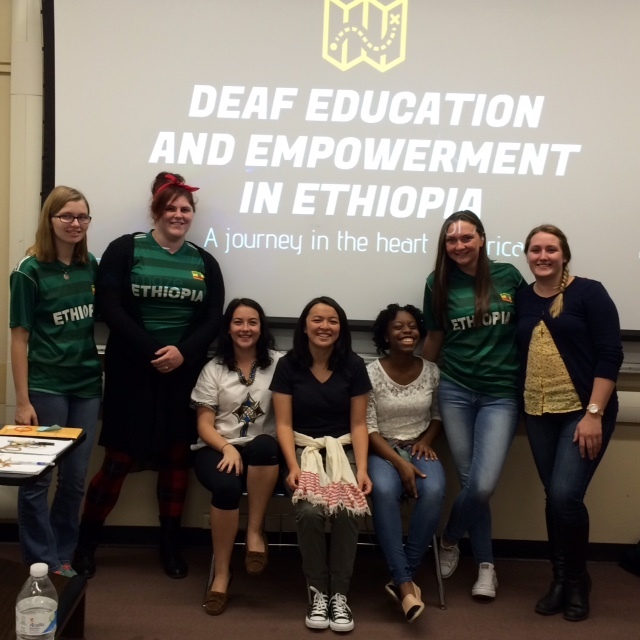 Jada Quinlan, ’17 (Communication Disorders) said the feeling of being embraced by the Ethiopian deaf community is something she’ll carry with her forever. The New Paltz sophomore’s mother, Laurel, who has been deaf since high school, encouraged her to participate in the study abroad program. They communicated via an app throughout Quinlan’s time in Ethiopia. When Quinlan returned, she and her mother created a vision board that features inspirational quotes and photographs that speak to her future goals, including a career as an audiologist. Her mother encouraged Quinlan to give the photos of herself working with Ethiopian students a prominent place. During an October 20 presentation in Humanities 201, students shared their experiences in Ethiopia with students interested in participating in the course next summer. Pictured (l-r) are: Maria Gillin, Alexa Venezia, Katie Capulli, DeYan McCarthy, Jada Quinlan, Cathryn Brown and Kalie Hagen.